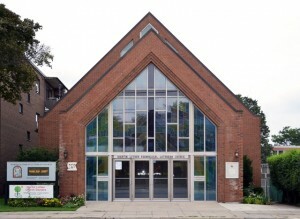 The Evangelical Lutheran Church in Canada is the major Canadian representative of the traditions of the Lutheran reformation of the catholic Christian church. 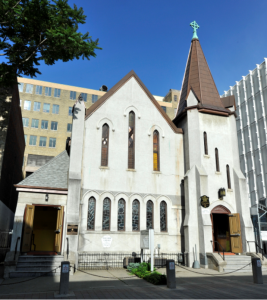 The Evangelical Lutheran Church in Canada functions through three major entities: nationally as the ELCIC, regionally as synods, and locally as congregations. Each entity has unique ministries as well as ministries which are shared with the other entities. The synods are also divided into geographical conferences to assist in their ministry. The DELKINA is the special interest conference for ministry among people of German language and/or heritage in North America. It adheres to the Lutheran Confessions, but it also cooperates with other church organizations. Reaching out to people whose primary language is not English (i.e. 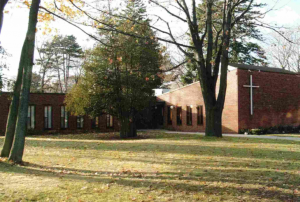 German), the DELKINA wants to be an integral part of the multicultural mission and outreach of the Evangelical Lutheran Church in Canada (ELCIC), the Evangelical Lutheran Church in America (ELCA) and the Evangelical Church in Germany (EKD) . Twenty-two Lutheran, Reformed and United regional churches (Landeskirchen) form the Evangelical Church in Germany. 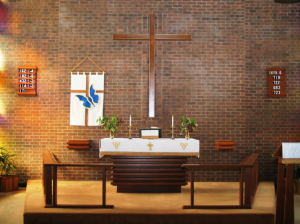 German Protestant church structures are based on federal principles at all levels. Each local congregation is responsible for Christian life in its own area, while each regional church has its own special characteristics and retains its independence. Without in any way diminishing this autonomy, the EKD carries out joint tasks with which its members have entrusted it. With 20 congregations in our Ministry Area, the largest number in the Eastern Synod, we decided a website would be a great tool to learn about each other, find out what’s happening in our area, and coordinate our resources. 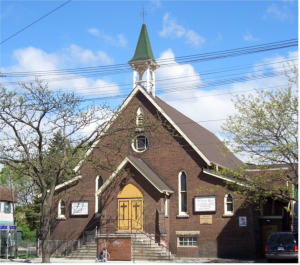 While Central Toronto Ministry Area is a good geographic description, we think of ourselves as LutheransToronto. CLWR is one of Canada’s oldest relief and development agencies, formed in 1946 as a response to the humanitarian crisis in post-war Europe. It now focuses on six areas: refugee settlements; aid shipments of quilts, kits, and other materials; emergency relief; community development; international volunteer service; alternative trade. Donate and learn more through their website. The Great Finds thrift store is located at 2358 Lake Shore Blvd W, Etobicoke, ON M8V 1C3 https://www.stonegateministry.ca/ and offers high-quality, gently used items for the entire family. All items are reasonably priced for all budgets. This thrift store located on the Lakeshore in Mimico, offers discounts on it’s vintage products, and gives the type of bargains people find hard to resist. Open Monday to Thursday: 10:00 am – 6:00 pm and Friday: 10:00 am – 7:00 pm. Visit Great Finds today. You will receive a warm welcome from our volunteers! Radio Devotion in German every Sunday at 9:30 a.m., Ciao Radio AM 530 – multicultural radio station. German Service twice a month, one Joint English- German and one English. English Service last Sunday of the month.